Available per the 27th of December. 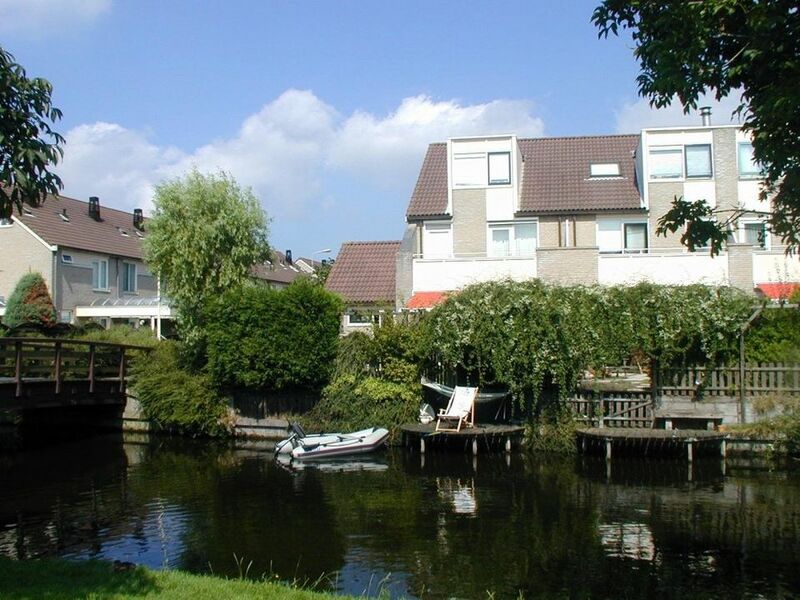 Fully renovated corner house (end-of-row) with garage (with storage attic on top) in perfect condition, back garden situated on the water and with free view. A family house with plenty of parking space (in your own terrain) located in quiet and green area, safe environment for children, walking distance from shopping centre Leidsenhage, 2 horse riding stables, tennis courts and hockey and cricket clubs. Sunny back garden, facing South-East and open to the south-west (sunny the whole day). Driving time at EPO is 15 minutes, by bike 25 minutes (7 km). 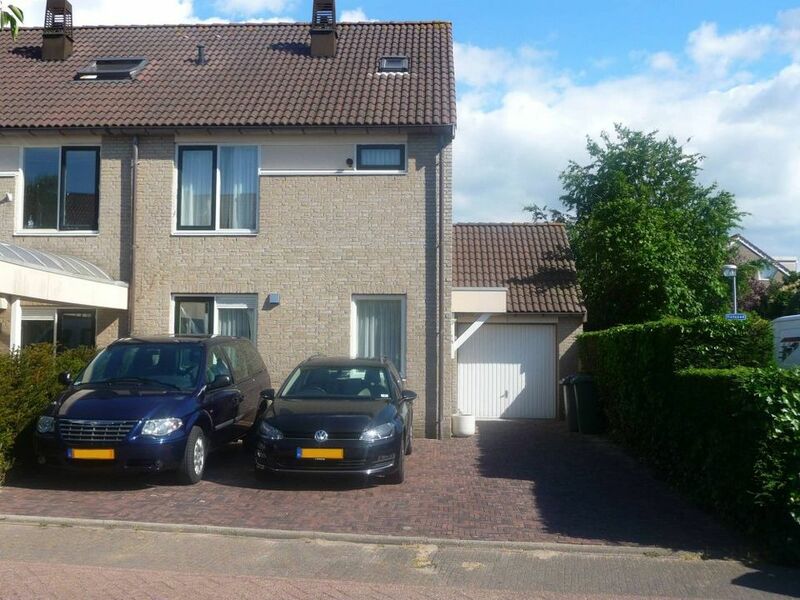 This house is perfectly located at the same distance of about 4.5 km (15 minutes by bike or car, quickly accessible via with low traffic streets) from The British School (Junior in Mariahoeve and Leidschenveen and the Senior School). Also well connected to the centre of The Hague via bus or train, and well connected to the American School in Wassenaar (no need to use highways). Description: Wide entry hall, meter cupboard with electricity/gas unit, High speed internet, toilet (w.c. and basin), spacious living room (42 m2) and fully equipped kitchen (new) with refrigerator, dishwasher, induction plates and oven/microwave. Walk-in larder cupboard to the living room. First floor: Corridor connecting three bedrooms, main bathroom, second toilet room (w.c. and basin). Main bedroom: 5.20 x 3.40, two extra bedrooms (4 x 3m and 2.50 x 3.10m), both connected to a large balcony with view onto the back garden and the canal. 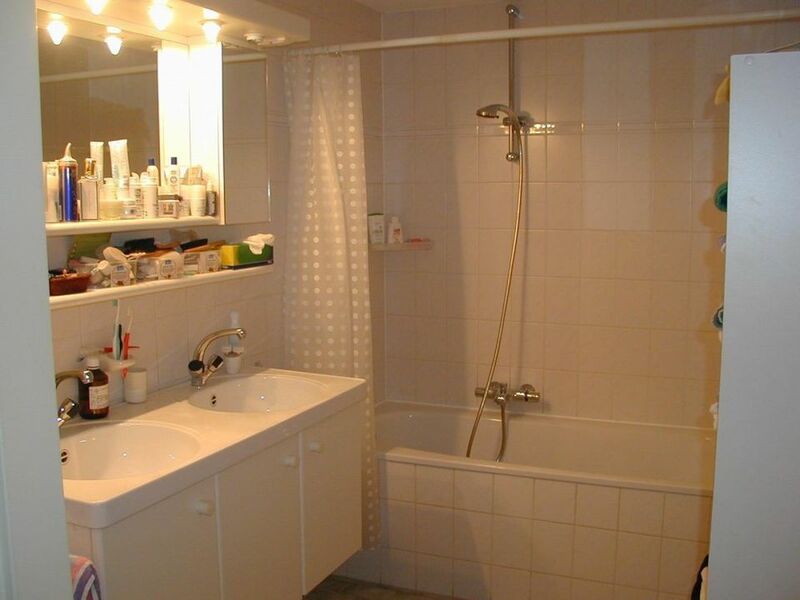 Main bathroom: 3.10 x 2.0m, double basin and large bath, thermostatic tap and shower. Second floor: Second complete bathroom with shower, w.c. and basin, laundry room (3x4) with large storage capacity, central heating combined with warm water boiler (New: High Efficiency). Large 4th bedroom (5.10 x 3.80) with view of the canal and playground just at the back of the house. The house is in perfect condition, completely renovated inside and outside, including new terrace and front parking spaces. Ideal for a family with 2-3 children. The rental price is excluding gas, water, electra, tv and internet.